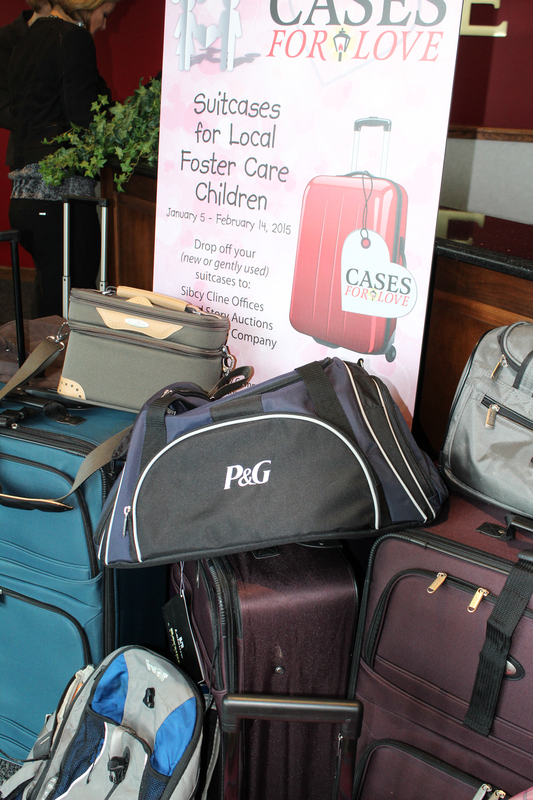 Cases For Love – a community outreach program that is requesting the public to donate new or gently used suitcases for area foster children – has reached a milestone. To date, 600 suitcases have been collected. In addition, 200 new backpacks and 387 duffel bags have also been donated. Follow Cases For Love on Facebook for the most up-to-date notifications. The goal is to collect over 1,200 suitcases. 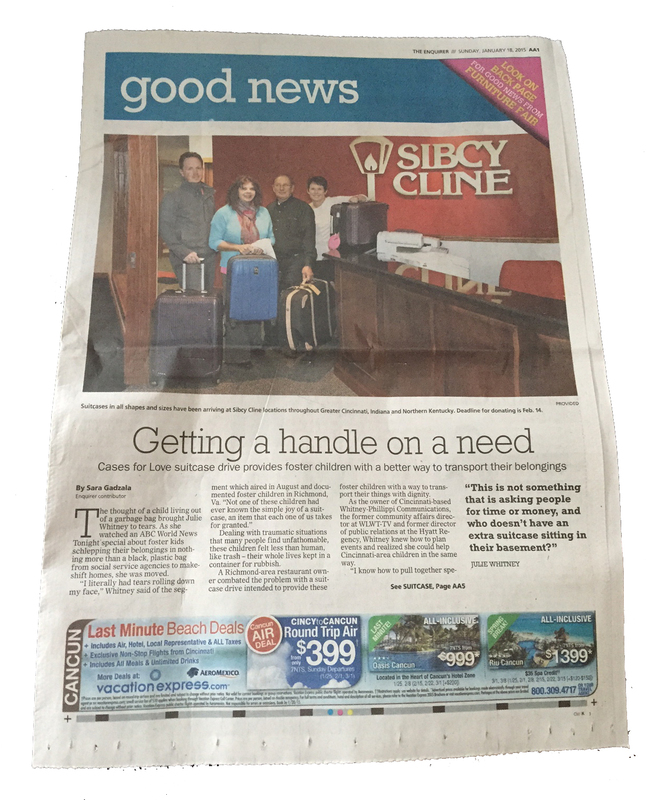 Suitcase (backpack and duffel bag) donations are being accepted at all Sibcy Cline offices, Second Story Auctions’ warehouse in Blue Ash, as well as at University Moving and Storage Company in West Chester through February 14, 2015 (Monday – Friday 9am-5pm). This entry was posted in Communities and tagged Cases For Love, Second Story Auctions, University Moving and Storage Company by susanaknabe. Bookmark the permalink.